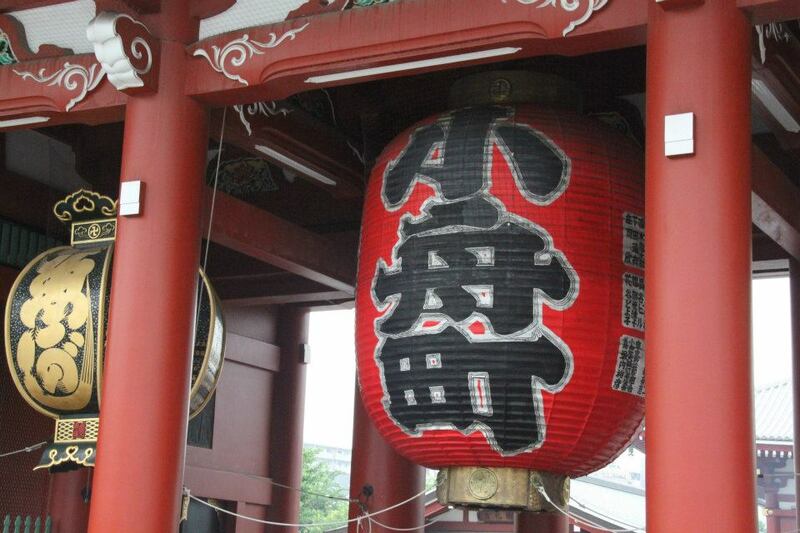 Asakusa was of course, one of the must visit places if you are in Tokyo. So it was only natural that I was there back then a couple of years ago when I was there in Tokyo. 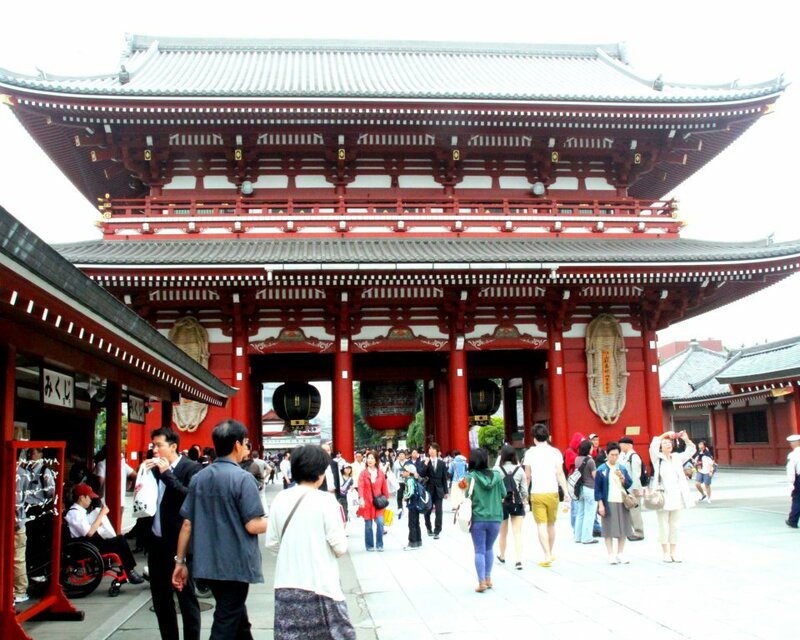 I entered Asakusa through the Nitenmon Gate. This gate might be less impressive than the Kaminarimon (Thunder Gate) and Hozomon, but it has more historic value than them. 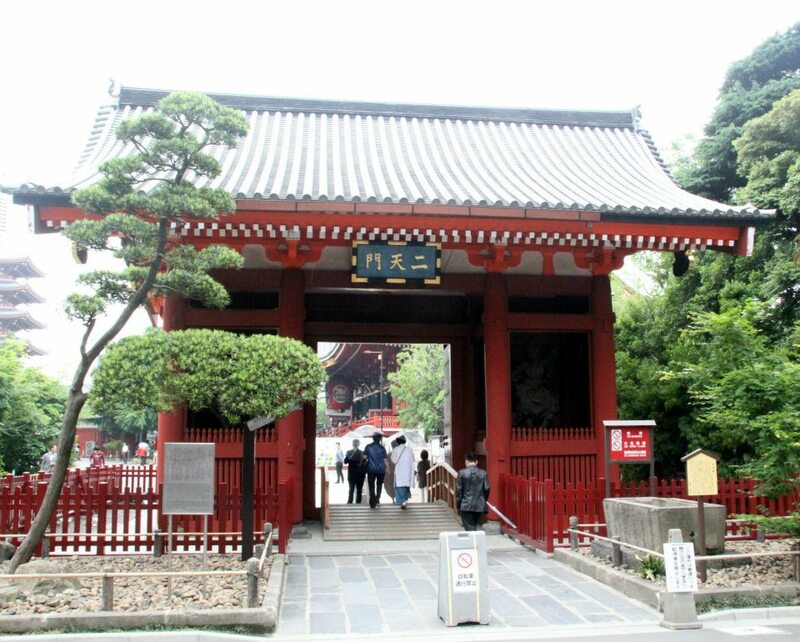 Nitenmon Gate was build in 1618 as the gate of Toshogu Shrine (Ieyasu Tokugawa,the founder and first shogun of the Edo age is said to be enshrined there). Toshogu Shrine was destroyed by the fire in 1642 but the Nitenmon gate survived. Sensoji is Tokyo’s most well known temple. It was built in the 7th century, and one of the oldest in Japan. It was said that one morning in the year 628, two fishermen, were fishing in the Sumida river when they found a statue of Bodhisattva Kannon in their net. When the village head of Asakusa, heard about it, he took his vows as a Buddhist priest and remade his home into a temple, devoting the rest of his life to Bodhisattva Kannon. 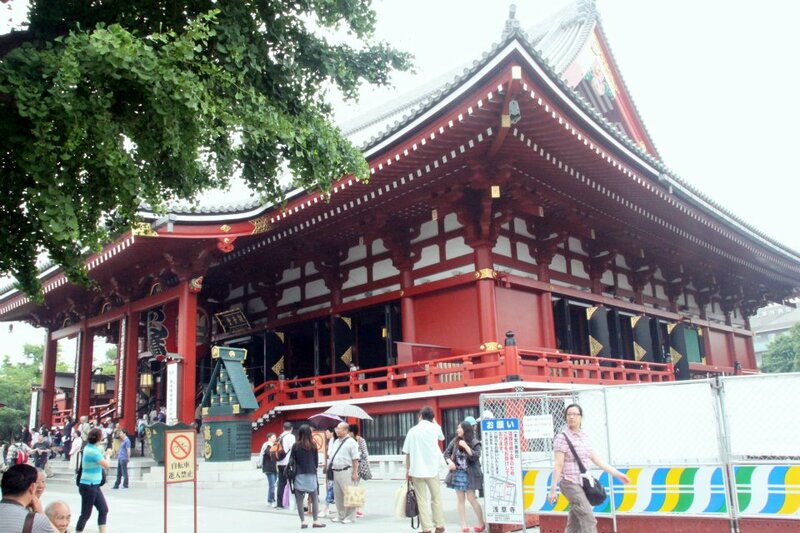 Then during the Edo period (1603-1867), first Edo shogun Tokugawa Ieyasu made Senso-ji the temple where prayers for the aspirations of the shogunate would be offered. Because of that, the temple complex flourished as the center of Edo (present-day Tokyo) culture. 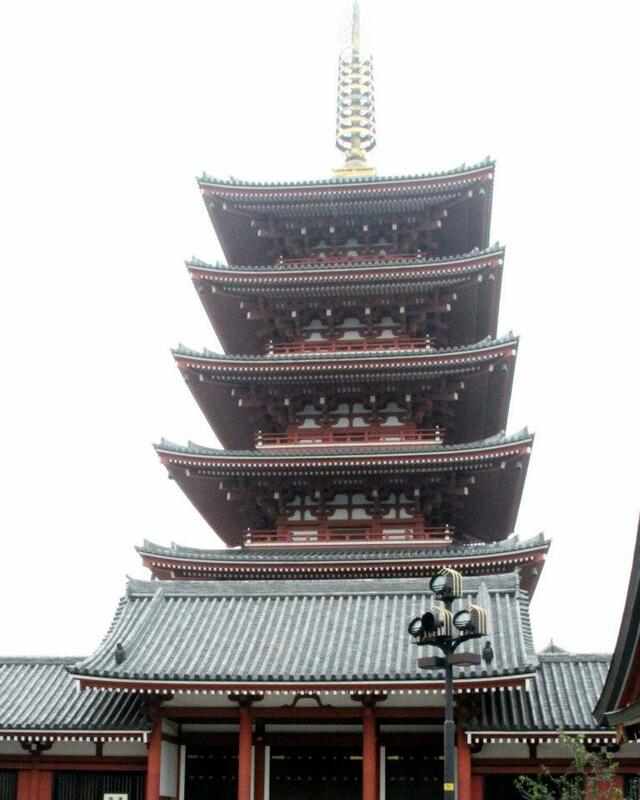 The Five-storied Pagoda is said to be built in 942 the same time with the main temple by Taira no Kinmasa. It was then lost in a fire and reconstructed in 1648 by Tokugawa Iemitsu. Relics of the Buddha (busshari) are kept on the top floor. 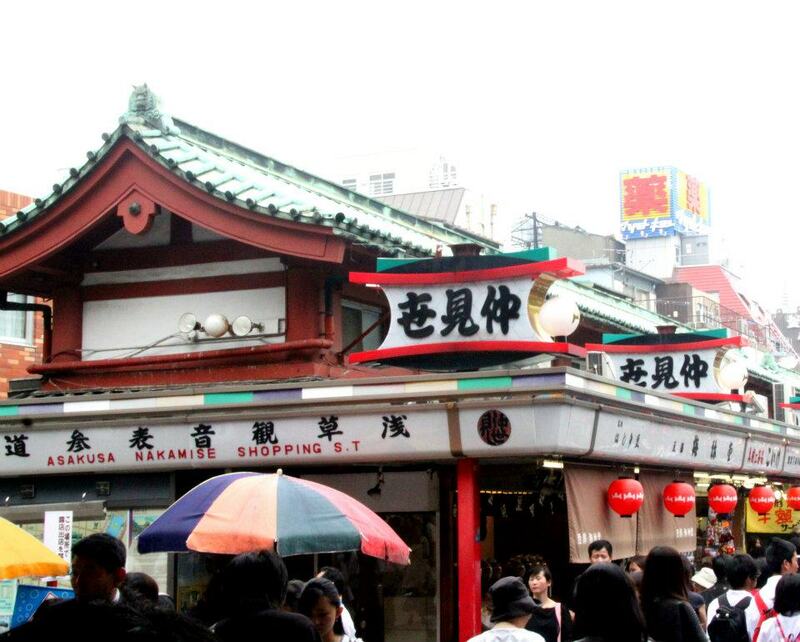 Asakusa can easily be explored on foot. Large parts of Asakusa were destroyed in the air raids of World War Two. 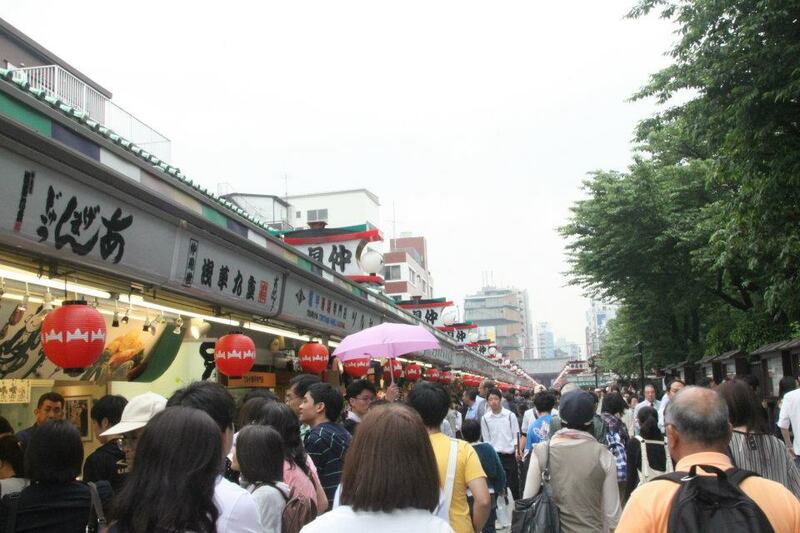 And while the area around the rebuilt Sensoji has regained its former popularity. 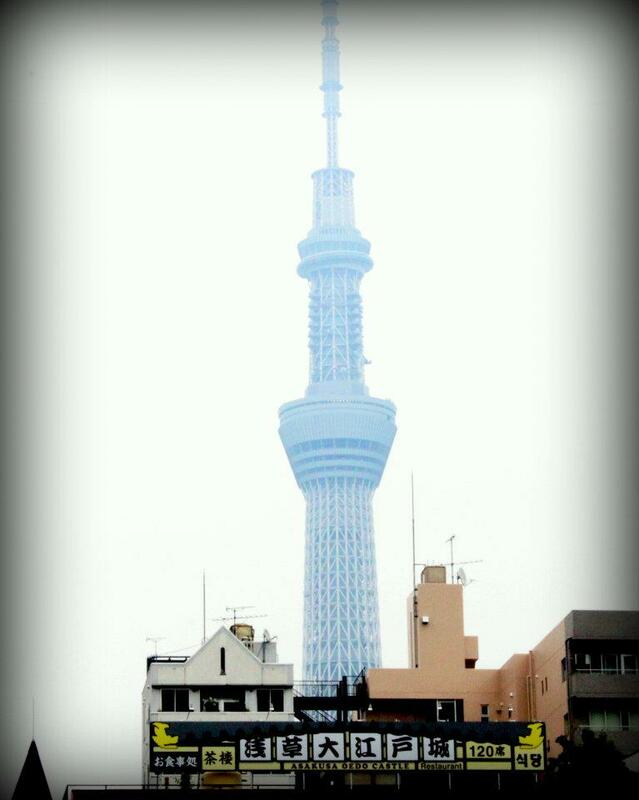 The opening of the 634 meter tall Tokyo Skytree, a twenty minute walk across the Sumida River from Asakusa, has led to an increase of tourists recently. 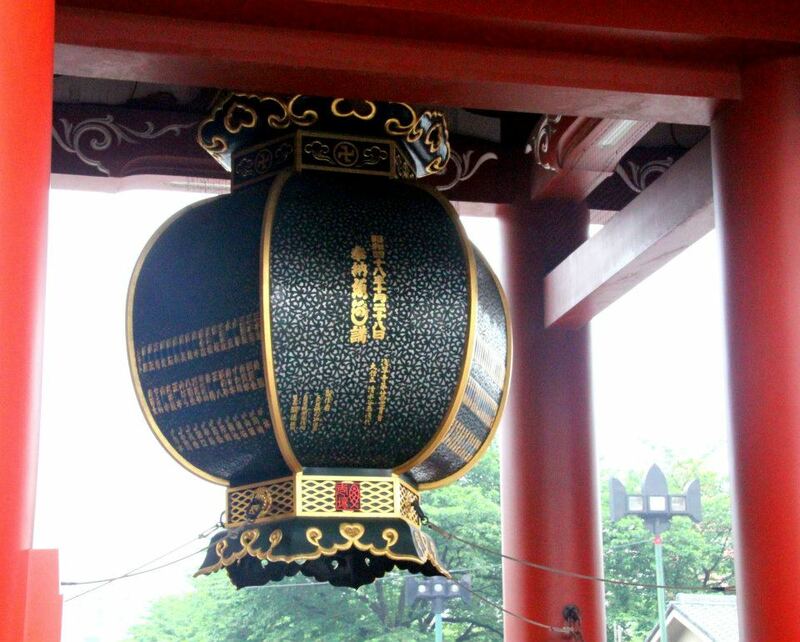 Under the Kaminarimon gate, hangs a giant red chōchin that is 4 meters tall, 3.4 meters in circumference and weighs 670 kilograms (1,480 lb). Being very fragile, the lantern is not an original piece. 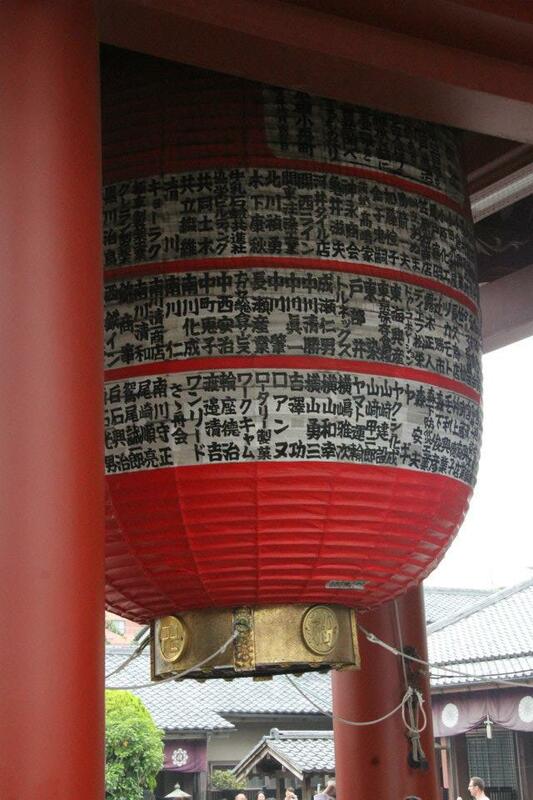 The front of the lantern displays the gate’s name, Kaminarimon . Painted on the back is the gate’s official name, Fūraijinmon. A wooden carving depicting a dragon adorns the bottom of the lantern. 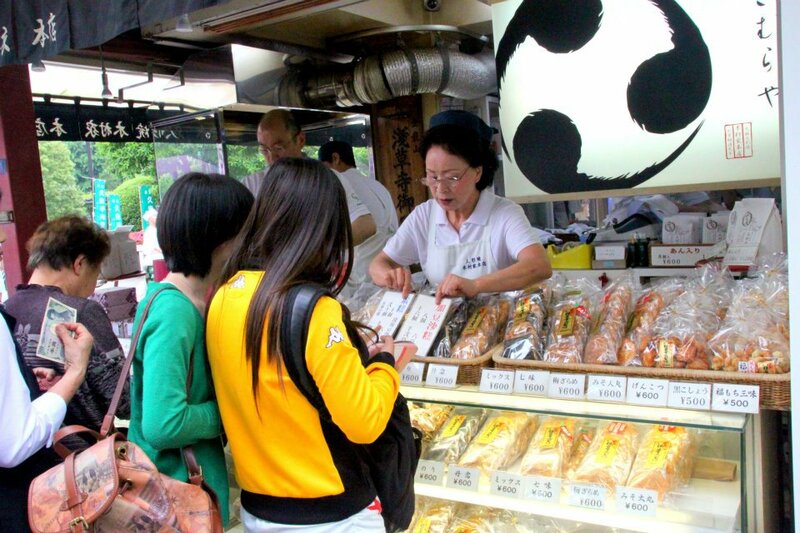 The Nakamise shopping street stretches over approximately 250 meters from Kaminarimon to the main grounds of Sensoji Temple. 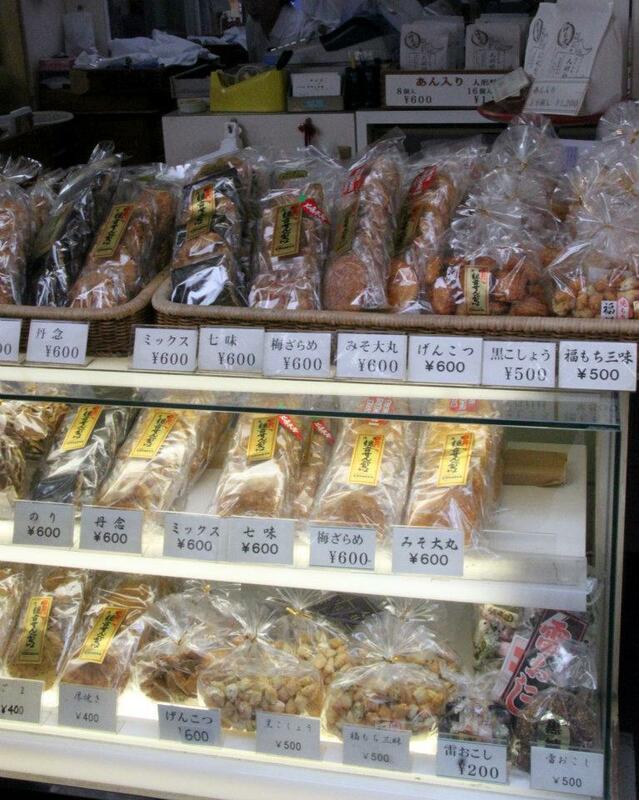 There are over 50 shops along the street that sells local specialties and souvenirs. 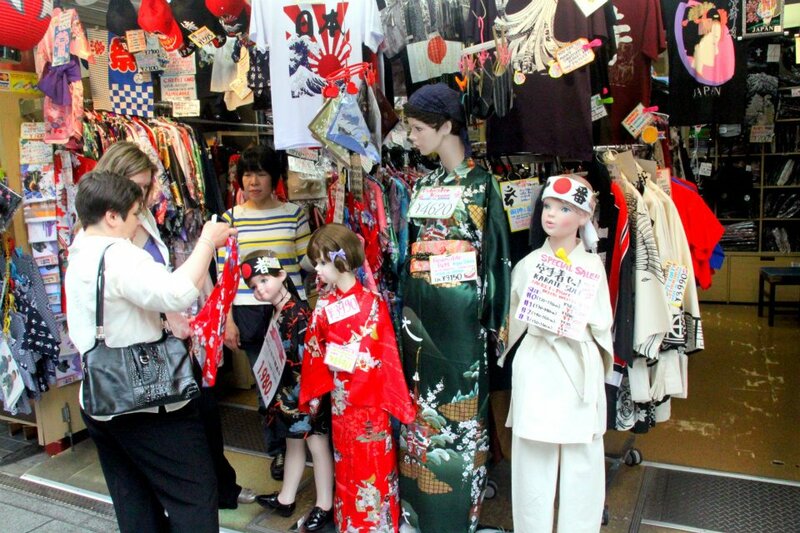 If you are looking for yukatas or souvenir t shirts and the likes of it, there are so much to choose from. 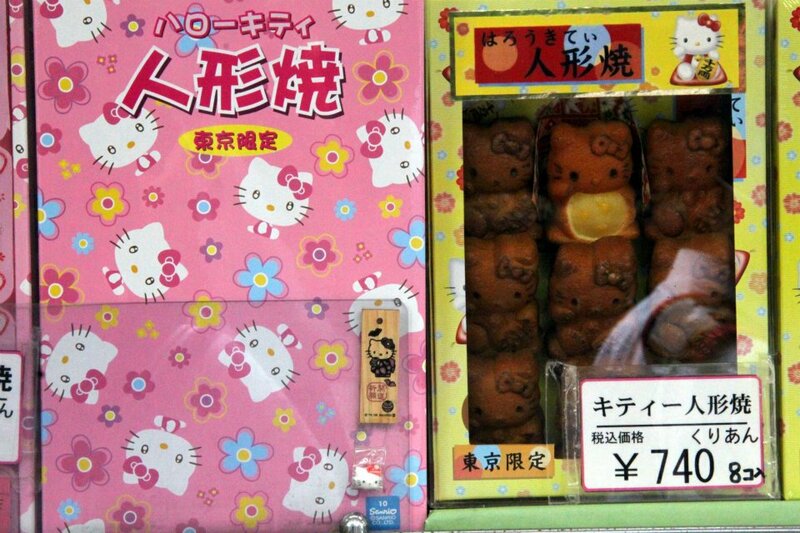 I loved the pretty sakura and Japanese blossom/ inspired printed handkerchiefs personally…. 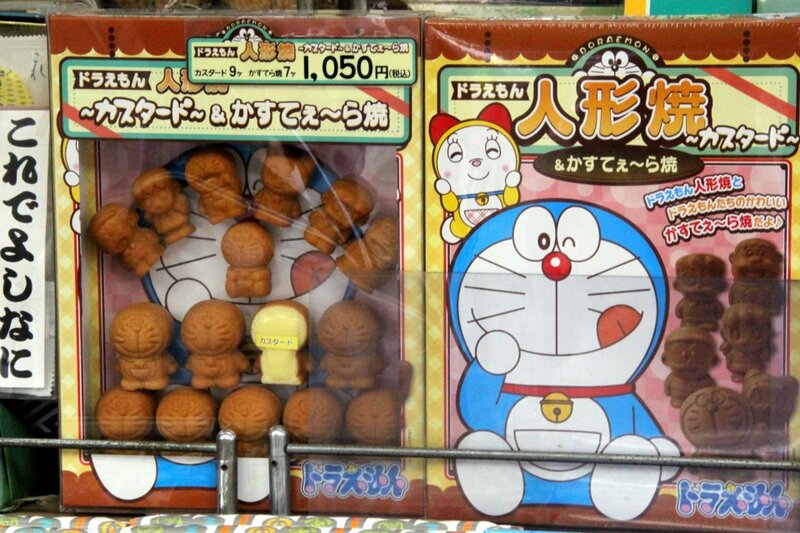 For fans of Doraemon or even Hello Kitty, you might be delighted to find these on sale there along the Nakamise street…they are a little pricey though, admittedly.. It sure is a lovely place to visit… I love it there… one of my favorite countries…. The place looks very Japan traditional style! If do classic Japan uniform shooting must be damn nice! Absolutely… this is very nice…. The architecture is beautiful! What were those little Doraemon and Hello Kitty stuff though?